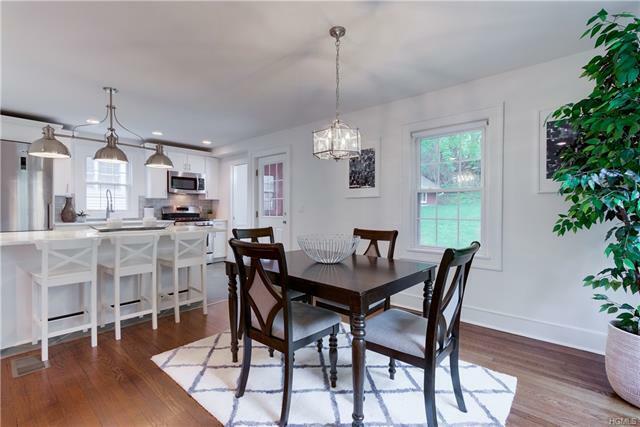 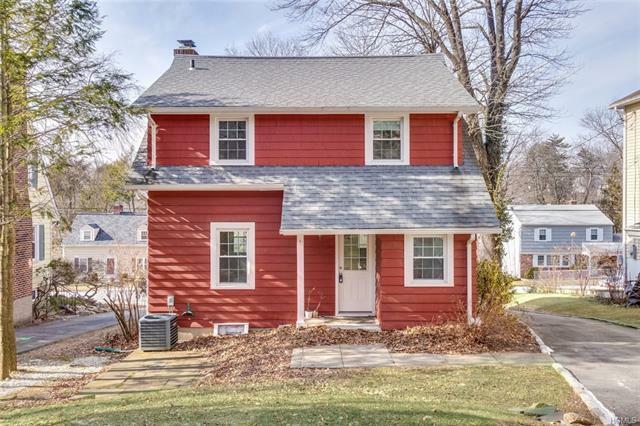 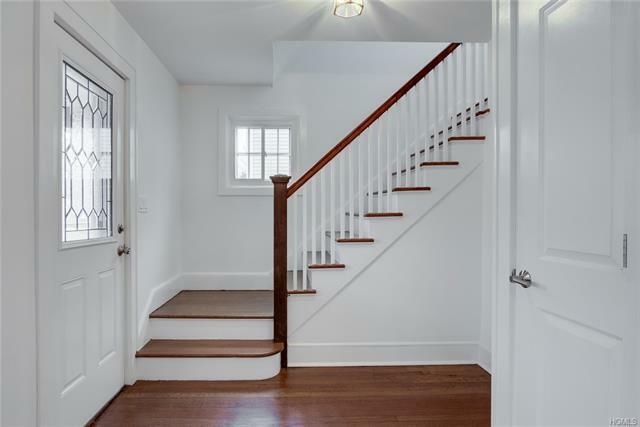 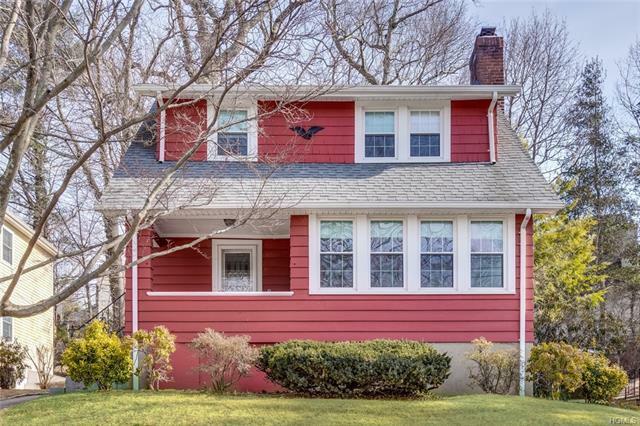 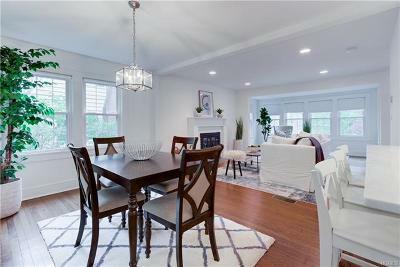 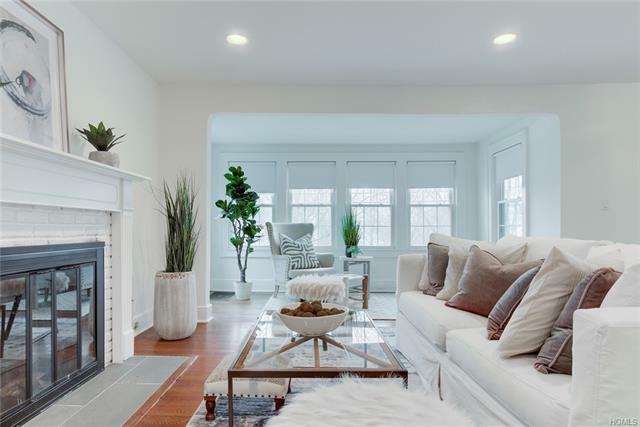 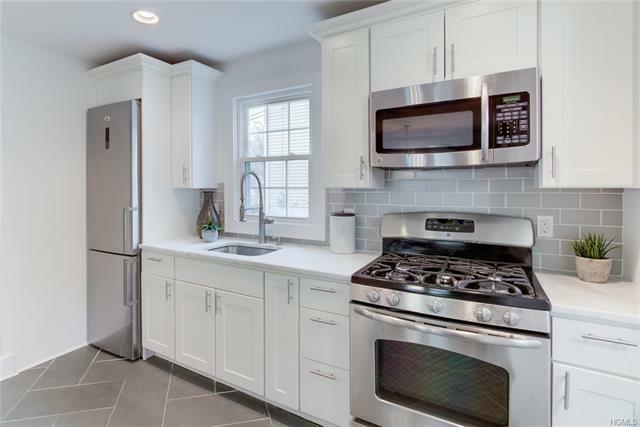 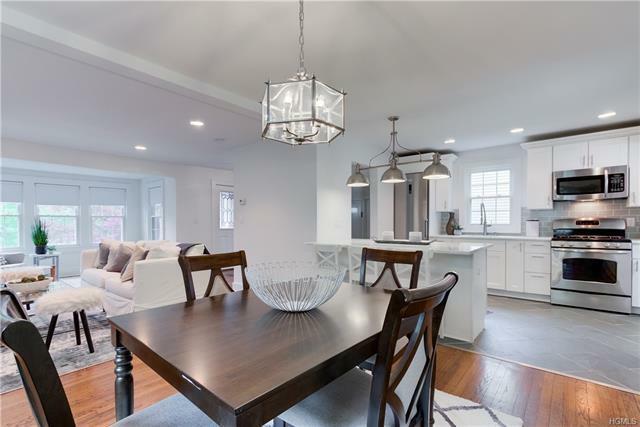 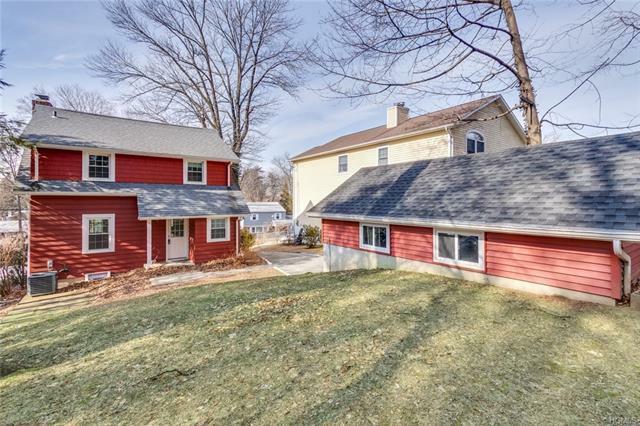 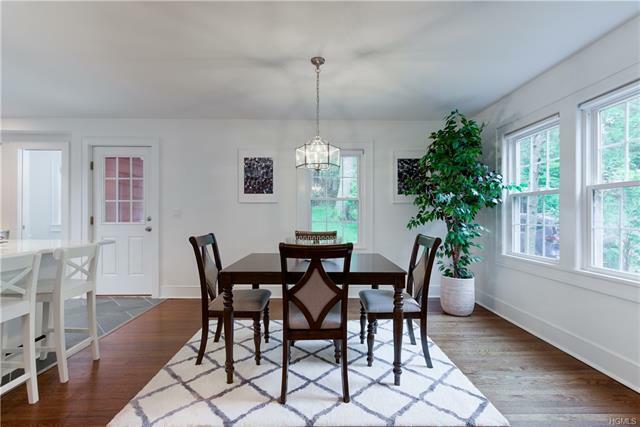 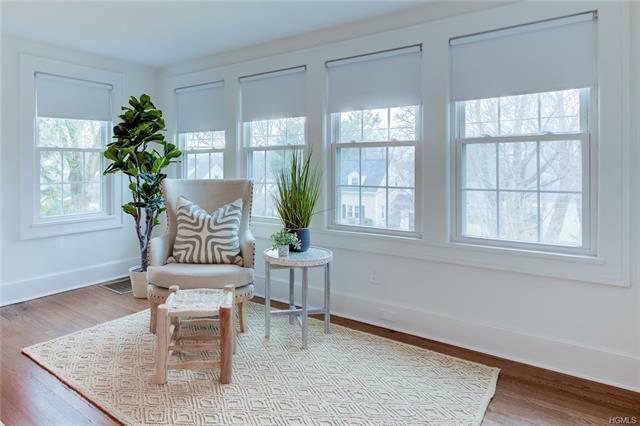 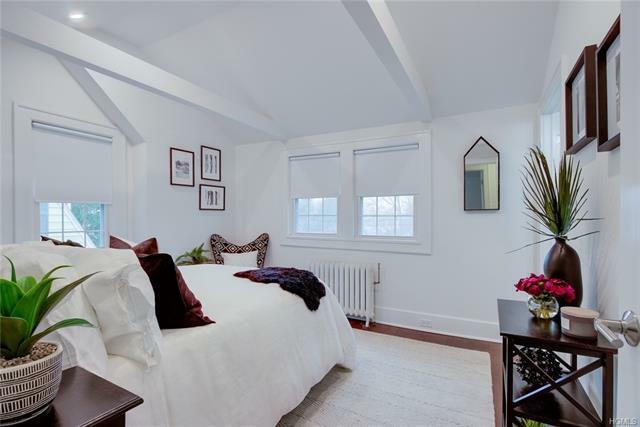 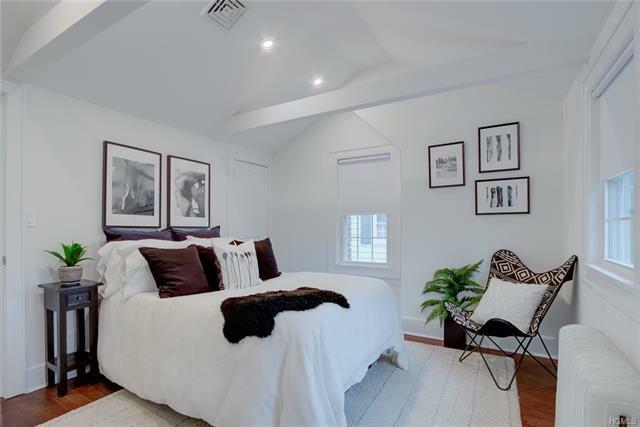 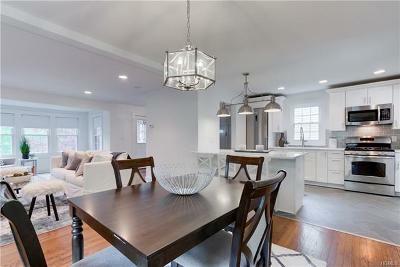 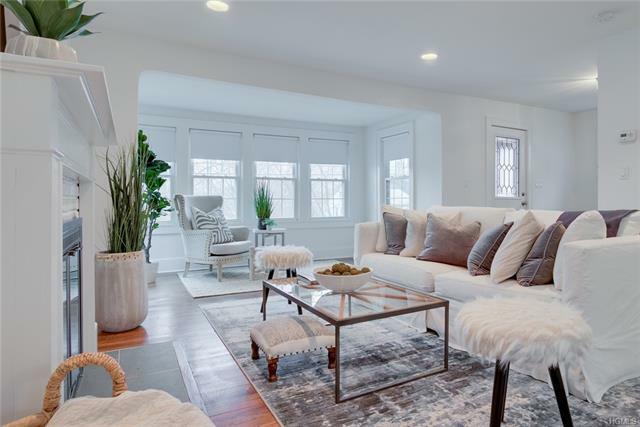 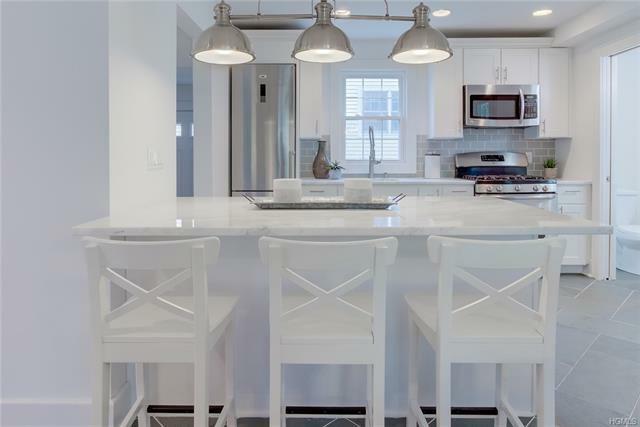 Fully renovated in 2016, this like-new 3-bedroom home in Scarsdale is ready for you to move in! 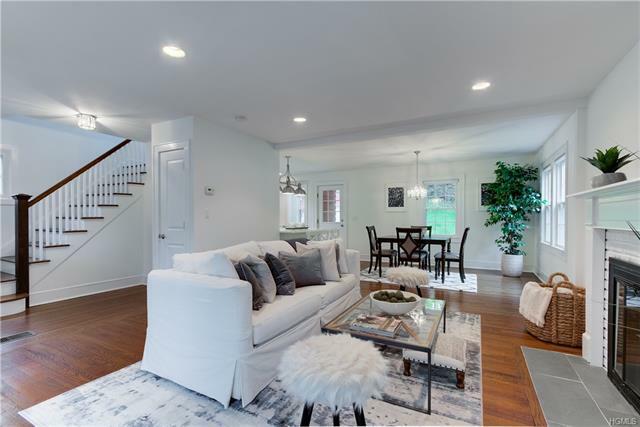 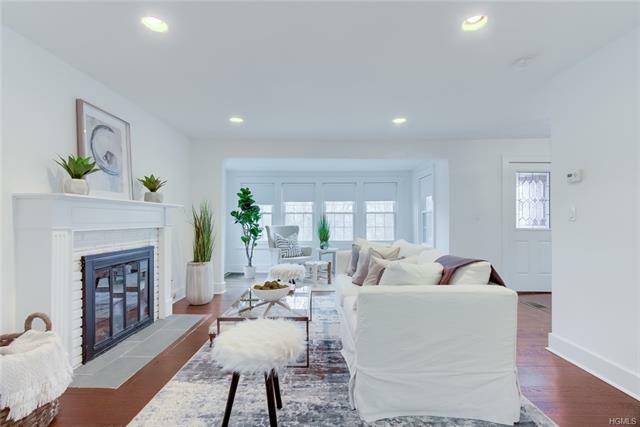 Reconfigured for maximum living space, enter to a gorgeous open plan living area complete with lux refinished hardwood floors, sunny front nook, & charming brick fireplace w/ mantel. 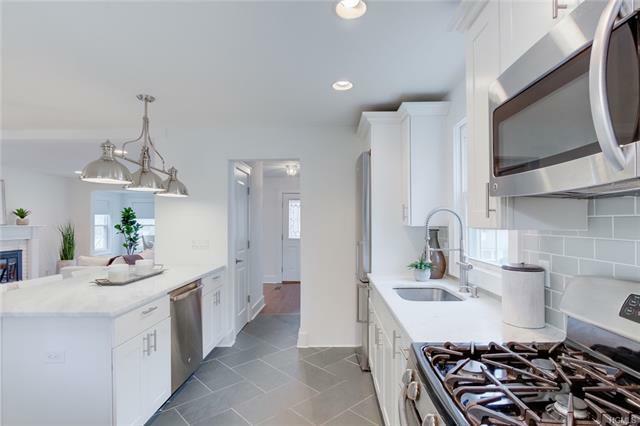 Continue through the spacious dining area into the upgraded modern kitchen, complete with roomy breakfast bar, stainless appliances, and custom cabinetry. 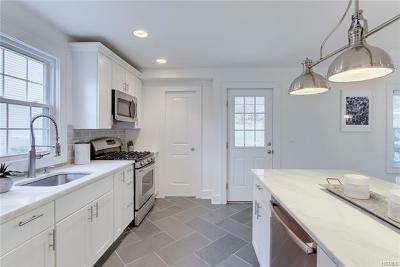 Off the kitchen is a perfectly appointed powder room, as well as a door to the lush backyard. 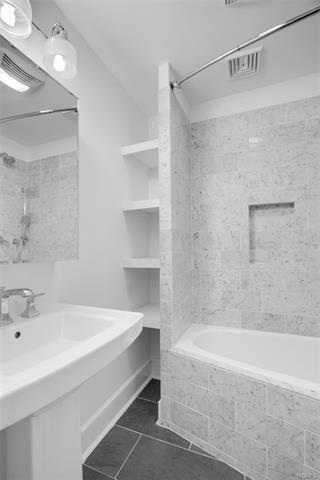 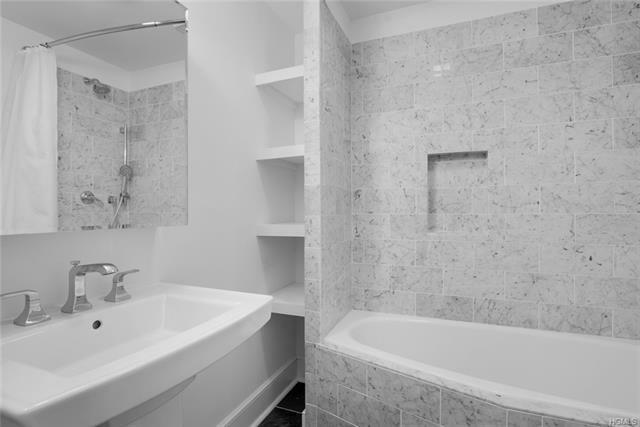 Upstairs, find a full hall bath with Kohler fixtures and Carrera marble. 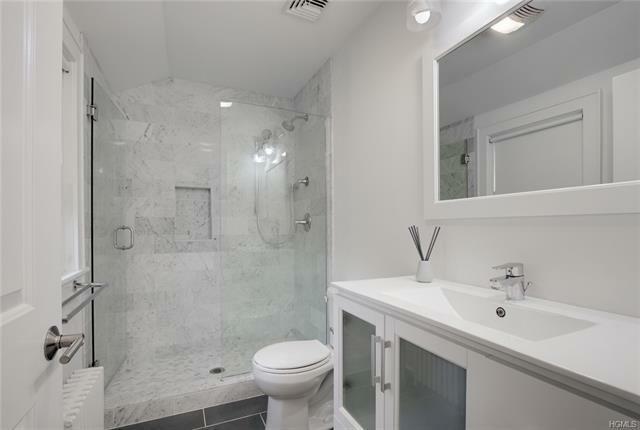 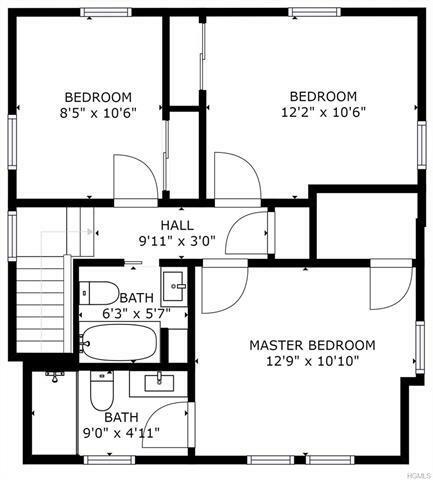 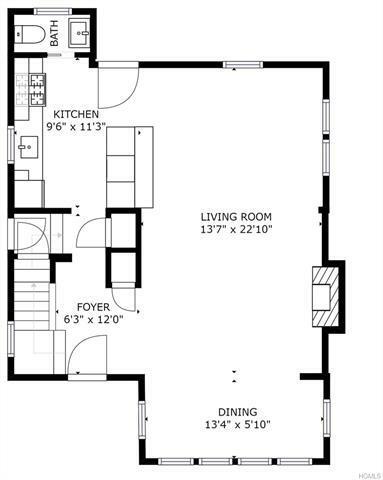 All 3 bedrooms with ample closet space, including the master with an ensuite full bath with Kohler fixtures and Carrera Marble. 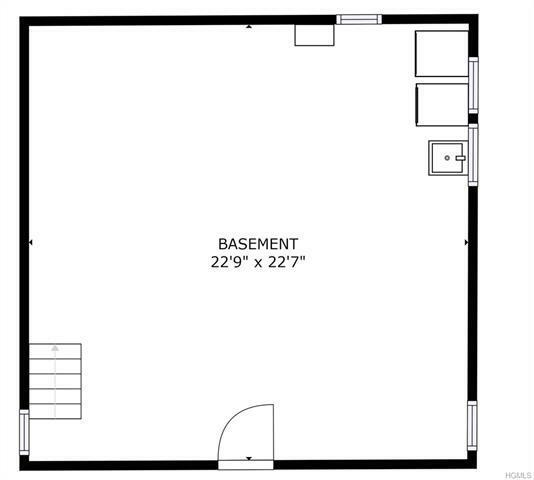 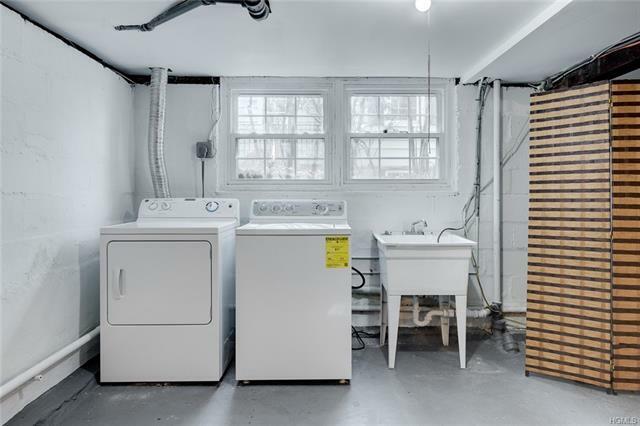 The large basement holds washer/dryer units and a ton of bonus storage potential. 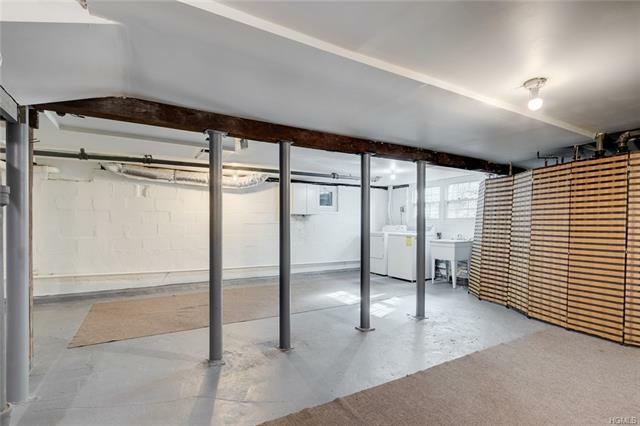 New Central Air Conditioning throughout the entire home. 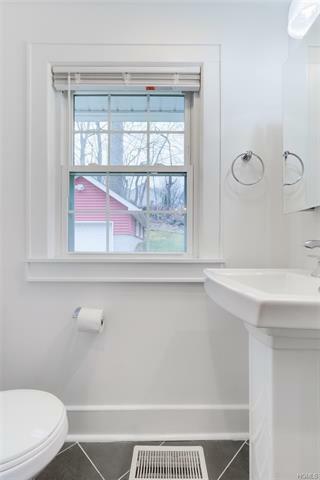 New plumbing and drainage system installed in 2017. 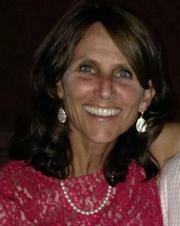 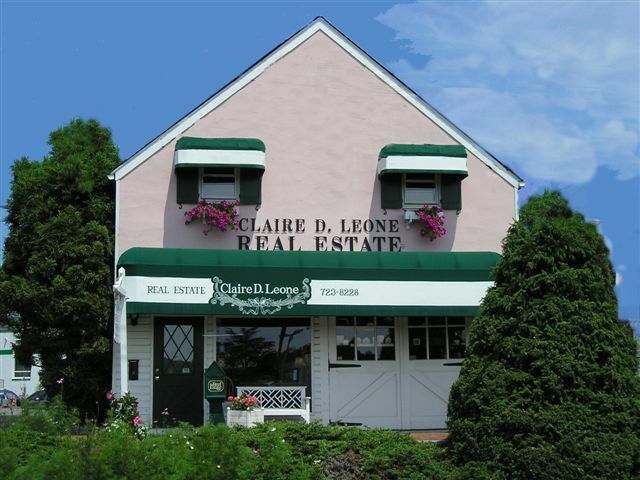 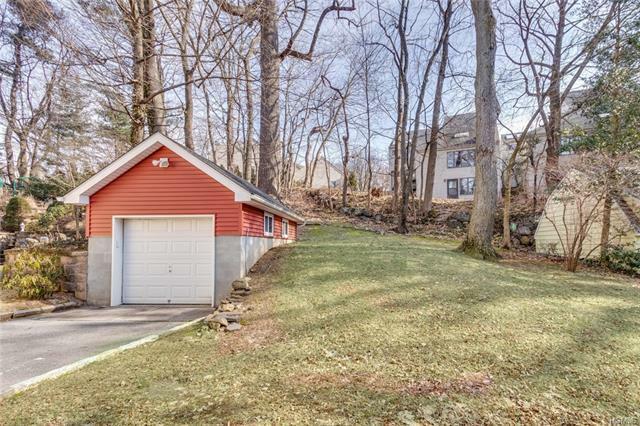 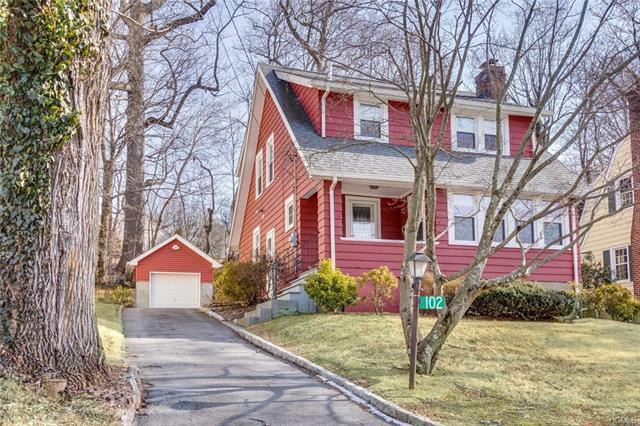 Located only .8 miles from the Scarsdale Metro North Station.